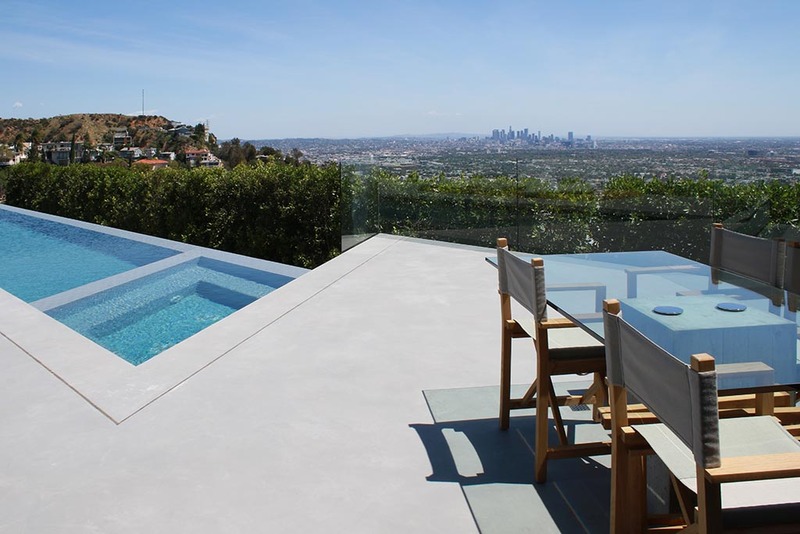 World famous fashion designer looked to SEMCO to resurface a challenging 25-foot wall on his newly purchased Hollywood Hills home. SEMCO delivered the sleek, modern aesthetic the designer desired, while also repairing sloping issues and creating a beautifully seamless surface throughout the contemporary home. 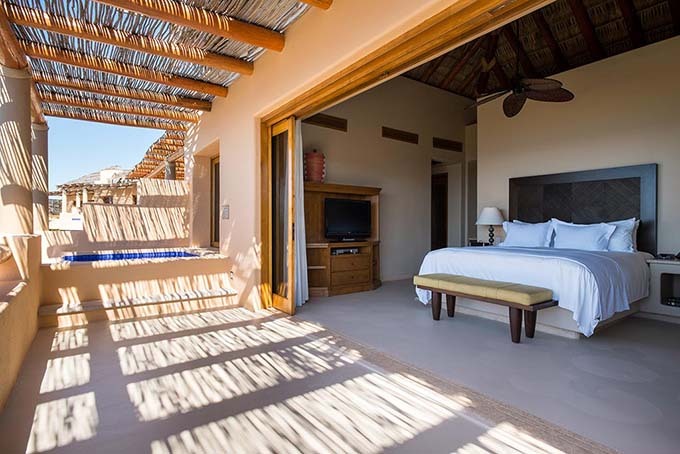 When Esperanza, a 5-star luxury resort in Cabo San Lucas, was in need of surface renovations, time was of the essence! They chose SEMCO due to the elegance and durability of its one-of-a-kind, artistic X-Bond Seamless Stone and its environmentally friendly application process requiring zero demolition. 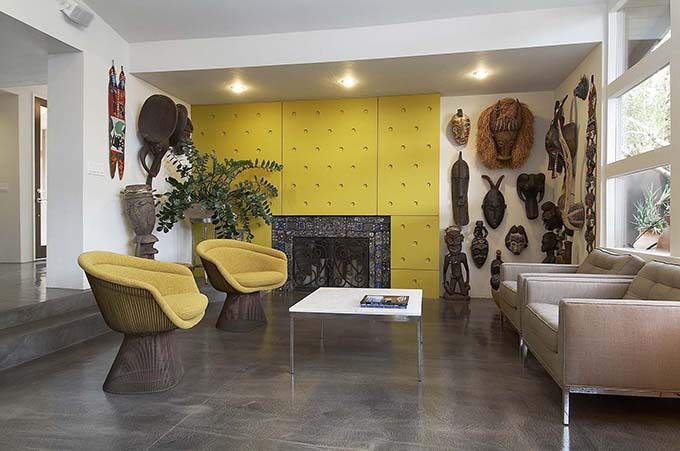 Interior designer Derrell Parker needed to resurface his modern home in a way that would accent his mid-century furniture and eclectic art collection. Seeking a modern, concrete-like surface that was both functional and durable, he chose SEMCO X-Bond Seamless Stone for its proven durability, environmentally friendly application, and sleek, elegant aesthetic. 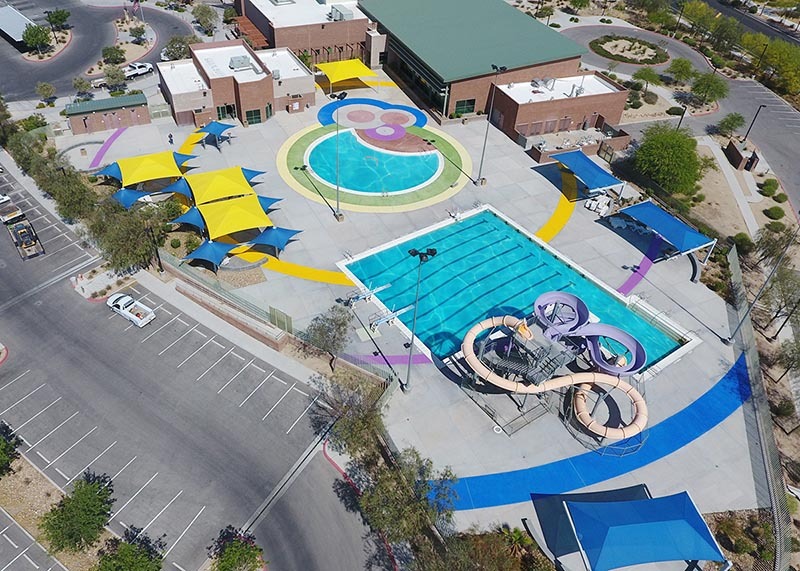 The Las Vegas Pavilion Recreational Center, a popular year-round Las Vegas destination, was in need of renovations to address safety concerns with slippery shower surfaces and insufficient waterproofing. SEMCO X-Bond Seamless Stone provided the perfect long-lasting, environmentally friendly, slip-resistant solution. 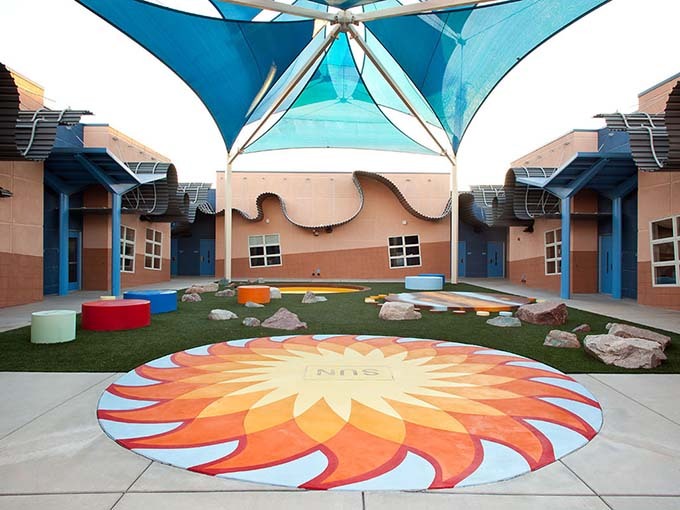 Creating a vividly colorful 3-dimensional playground surface able to withstand scorching Vegas temperatures can be a challenge—but not for SEMCO. The stunning planetary-themed play-and-learn area met the high safety standards set by the school, and SEMCO’s X-Bond Seamless Stone provided a durable, UV-resistant surface to be enjoyed by children for years to come. 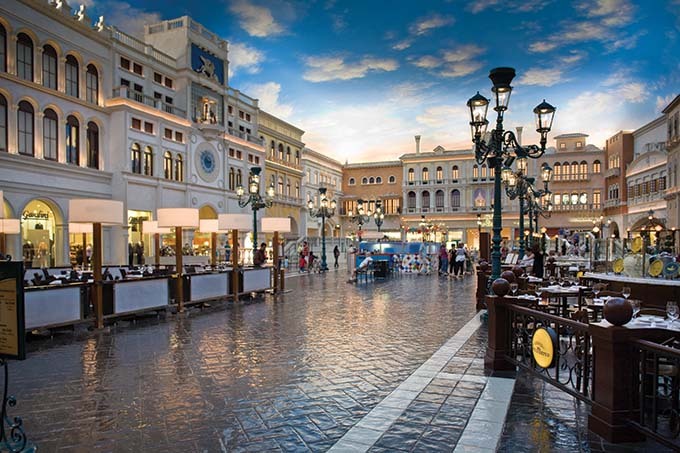 One of the most unique and beautiful shopping destinations in the world, the Venetian’s Grand Canals were in desperate need of a resurfacing solution in 2006. After being put to the test in a floor mock-up challenge, SEMCO was chosen by the Venetian to provide elegant floors durable enough to withstand the space’s heavy tourist traffic. 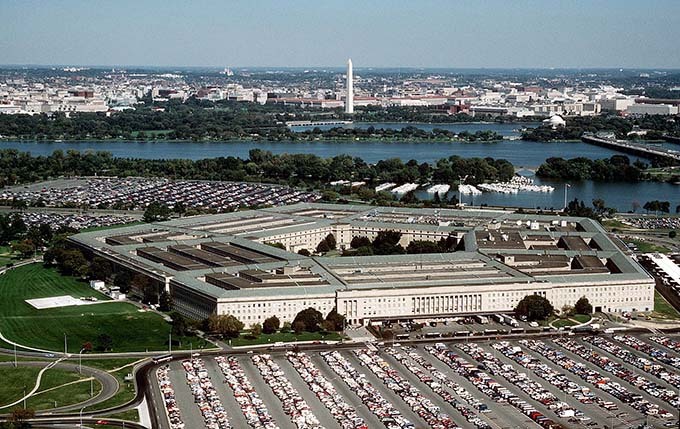 The Pentagon, headquarters of the United States Department of Defense and iconic symbol of America’s military strength, was in need of a remodel and upgrade to their on-site athletic facility. 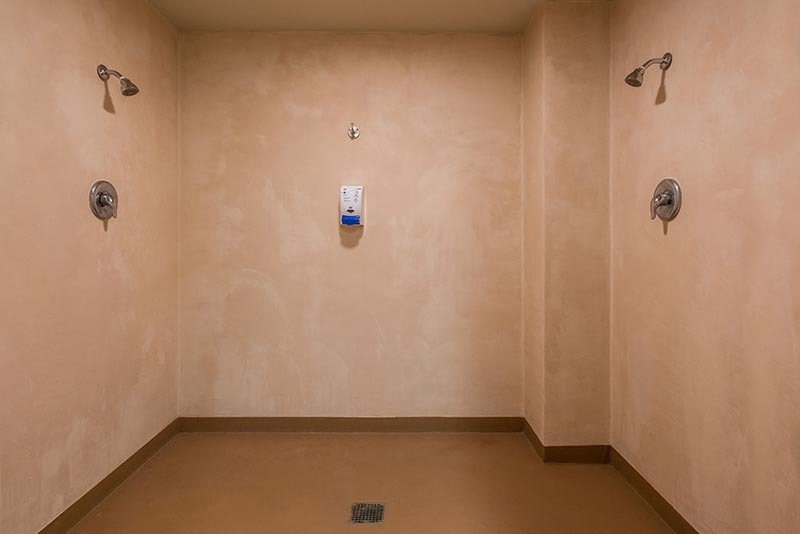 Seeking a high-performance finish that could withstand the facility’s heavy traffic, the Pentagon chose SEMCO’s X-Bond Seamless Stone, ADA Safety Floor, anti-microbial surface for their corridor floors—providing the perfect combination of beauty and durability. 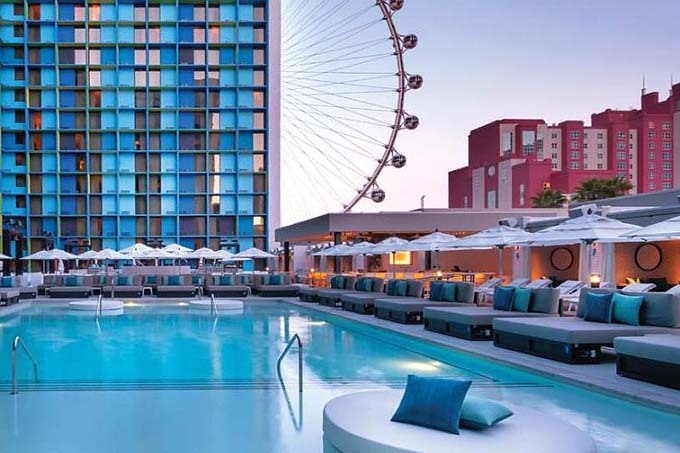 When Caesar’s Entertainment bought the Vegas property formerly known as the Imperial Palace, it was in need of serious remodeling, particularly the casino’s heavily deteriorated roof-top pool deck. Caesar’s chose SEMCO Seamless Stone, as it was a product that could create a molecular bond upon the deteriorated concrete, forming a beautiful, seamless and safe rooftop deck surface that was ADA-compliant and waterproof—just in time for Spring Break! 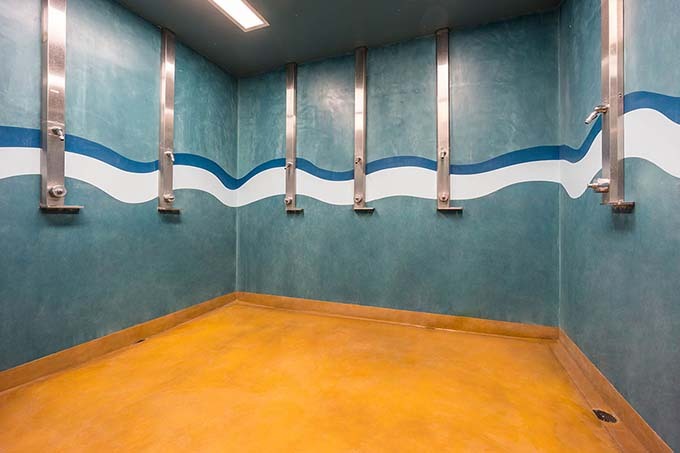 SEMCO was able to resurface and modernize the existing facility surfaces with ease—with no need for demolition, dust, grinding or sandblasting. 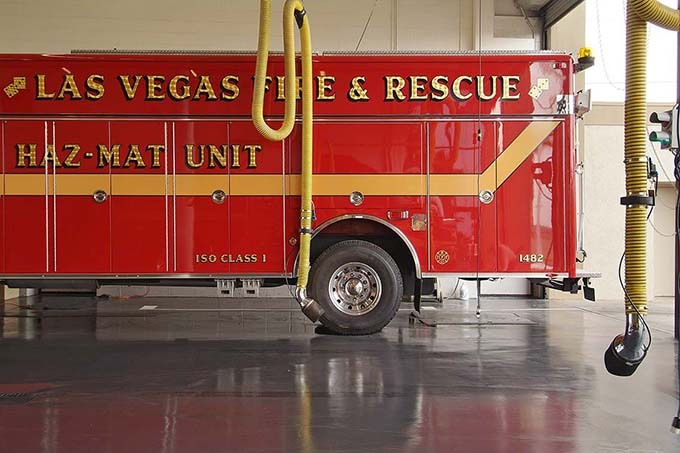 This meant minimal interruption of every day operations for the firefighters who live, sleep and eat at the station around the clock. The key to modernizing an historic space is ensuring that the property’s classic beauty and timeless elegance is preserved—and Semco was able to do just that. The Tiger Tail property was updated and modernized using SEMCO’s unique, essential color effect, which created a serene and peaceful ambiance felt throughout the spacious property—ready to be enjoyed by guests for generations to come. The YMCA at Centennial Hills Community Center—a popular location for the Las Vegas community—experiences heavy foot traffic across their pool deck and combined bathroom and locker room floors. As a result of the extensive daily use, the seven-year old surfaces needed an upgrade. SEMCO was the obvious choice for the project, as we’ve been providing efficient and successful engineering and service solutions to the City since 1999.